Dir. Huo Jianqi, China, 2016, 90 min. 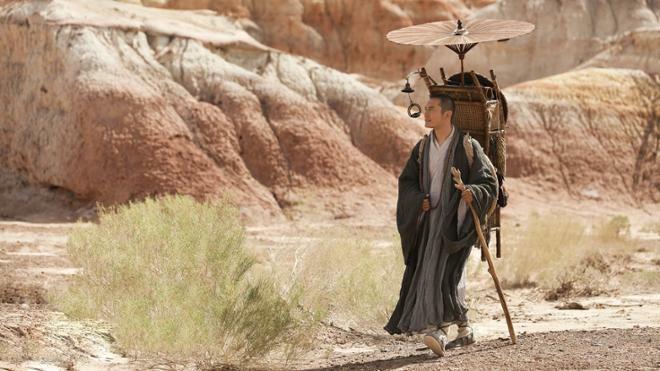 During the seventh century Tang Dynasty, a young monk, Xuan Zang, sets off on a long journey to India to study Buddhism. Along the epic pilgrimage Xuan Zang encounters challenges at nearly every turn – natural disasters, betrayal, food shortages, and grueling climate fluctuations among them. In all, the spiritual trek to India spans 17 years in his quest to explore the teachings of Buddhism. Upon return home, the once-young monk turns 50 years old. All films are screened in their original language with English subtitles. Presented by International Education and the Media Resource Center. Part of ChinaFest Film Weekend.